We’re back: and an all-new exclusive pattern by Knitting For Breakfast, our cherised collaborators, is now available! 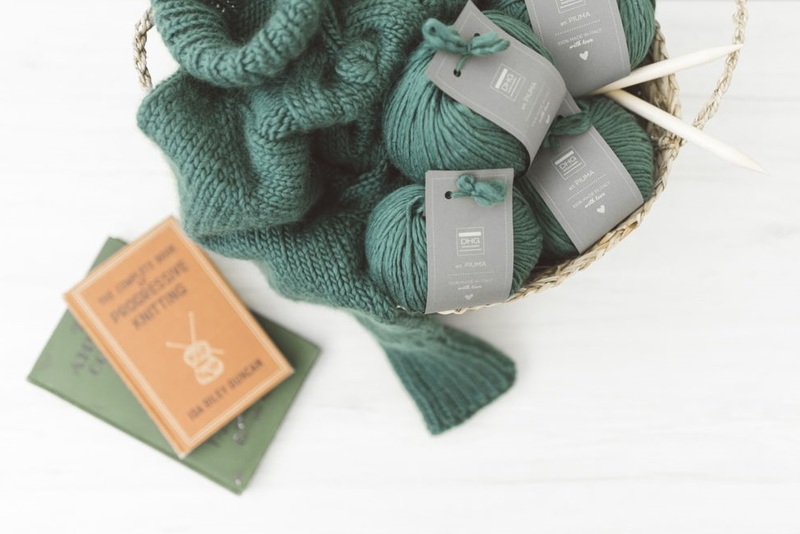 Piuma has been chosen once again, but you can use any type of wintery yarn from our collection. It’s a top down sweater with cable bobble stitch, what else on Sweater Day?! It’s got long cuffs (so long that they can be folded over, making the sleeve shorter), high neck, and a gorgeous pattern on the front, giving the sweater a touch of originality. 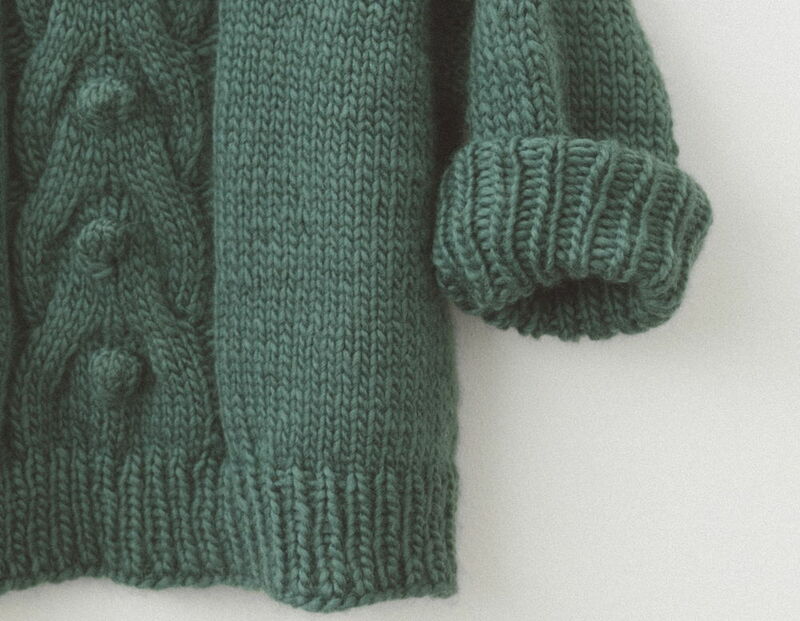 I know you can wait to get started, so on we go to the tutorial for the sweater with cable bobble stitch. 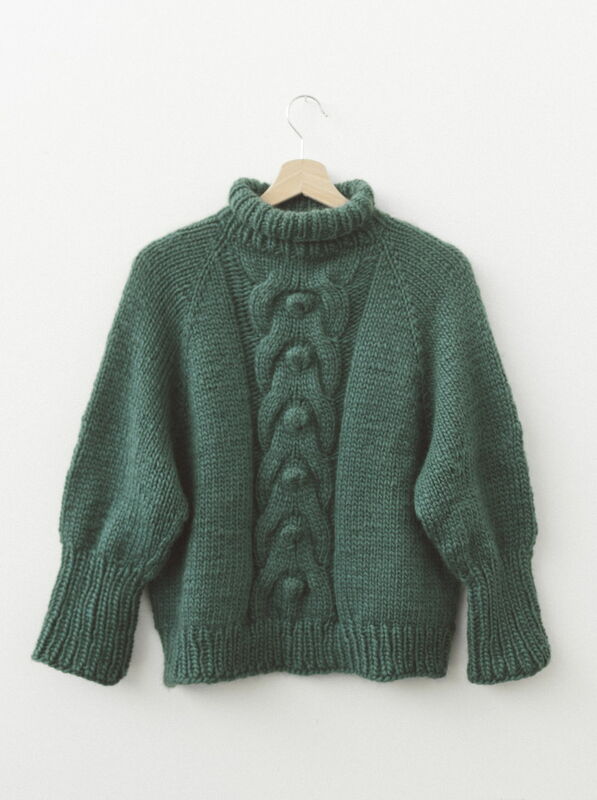 This type of sweater is worked in the round using circular needles, from top to bottom. It’s worked as one piece so it’s got the added benefit of being seamless. The stitches are gradually increased from the neck over to the sleeves, which are left hanging to be picked up later on. Hazlenut= work 5 stitches in 1 (knit 1, knit 1 through the back of the loop, knit 1, knit 1 through the back of the loop, knit 1), turn the work over and purl 5, turn it over and knit 5, turn it over and purl 5, turn it over again and knit 5. Now pass over 4 stitches starting from the second stitch of the right needle. Increase: kfb is advised, working (without dropping) 2 stitches in the same stitch, knit the first one and the second through the back of the loop. Using no.8 mm needles cast on 48 stitches, place the start of round stitch marker and bind off in the round. Knit 1, purl 1 repeat to the end of the round. In round 21 place the 3 stitch markers for the increases like so: stitch marker for the start of round, knit 4, place stitch marker, knit 21, place stitch marker, knit 4, place stitch marker, knit 19. In round 25 2 stitch markers will be placed to mark off the central motif. Within these stitch markers the CHART is to be followed (from right to left and from the bottom to the top). It’s best to choose a different colour of stitch markers to the ones for the increases as to not get them mixed up. Then go on to place the stitch markers like this: knit 8, (pass stitch marker) knit 1, place the stitch marker for the central motif, follow the CHART (for 23 stitches), place the second stitch marker for the central motif, knit 1, (pass stitch marker) knit 8, (pass stitch marker) knit 23. Leave 50 stitches hanging (first sleeve) knit 22, follow the chart for 22 stitches, knit 23, leave the next 50 stitches hanging (second sleeve) and knit 65. Leave 52 stitches hanging (first sleeve) knit 23, follow the chart for 23 stitches, knit 23, leave the next 52 stitches hanging (second sleeve) and knit 67. Leave 56 stitches hanging (first sleeve) knit 25, follow the chart for 23 stitches, knit 25, leave the next 56 stitches hanging (second sleeve) knit 71. Repeat round 1 for another 32 rounds. Repeat round 1 for another 38 rounds. Next round: take away the central stitch markers. The CHART won’t be followed anymore. Knit and arrange the 8 decreases evenly. Rib stitch 1/1 the last 11 rounds. Knit the first 3 rounds. Round 4: knit all the stitches and decrease 4 stitches. Rounds 5 to 7: knit another 3 rounds. Round 8: knit all the stitches and decrease 2 stitches. Repeat rows 5 to 8 another 3 times. Next round: knit all the stitches and decrease 8 stitches evenly. There will be 30 (32,36) stitches on the needles. Rib stitch 1/1 the last 25 rounds. Repeat everything for the other sleeve. Sew up under the sleeves, weave in all the loose threads, wash and block the garment. 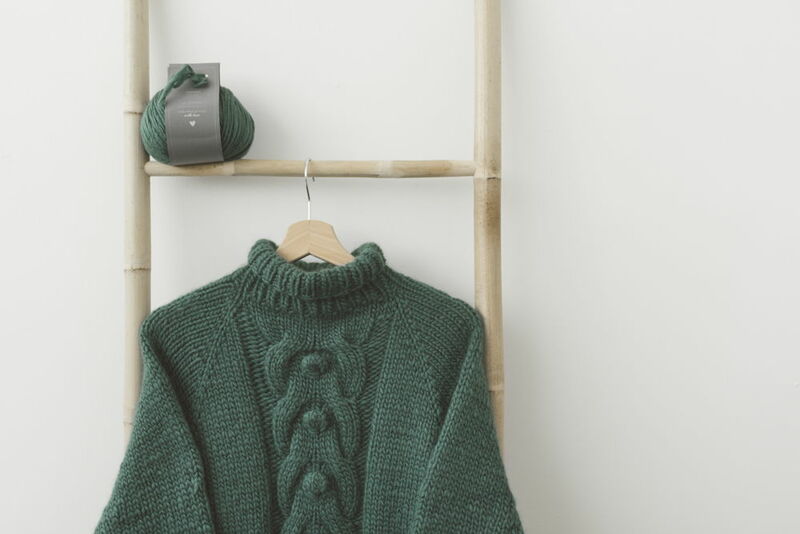 If you fancy making another sweater, but this time a two-tone and baggy one, check out the tutorial on how to make a super cozy high neck sweater.